Why is Dairy Queen Called Dairy Queen? Ice cream is ice cream. Right? Well, sure it is – unless it’s Dairy Queen. Can you take a cup of ice cream and turn it upside down without all of that delicious goodness ending up on the floor? No? Well, you can if it’s a Dairy Queen treat. In fact, in Texas, Louisiana, and Canada, there was a time when if the staff person making your Blizzard didn’t demonstrate this particular phenomenon before handing it over to you, you could get your ice cream for free. Perhaps this is because their soft-serve only has 5% butterfat (to actually be called “ice cream,” the stuff would need to contain at least 10%), allowing it to defy gravity. 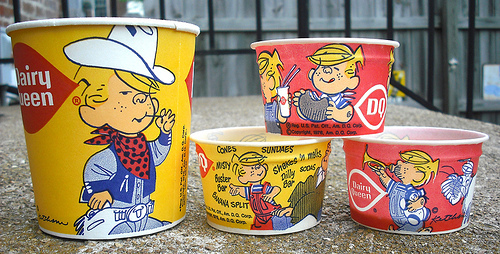 Over the years, there have been many lures to attract customers through the DQ doors (even customers such as U.S. former president, Bill Clinton), from the signature curl at the top of their cups and cones, which Dairy Queen employees and aficionados call “the Q,” to Dennis the Menace who served as their “spokestoon” from 1971 to 2001. In fact, if not for Dairy Queen, the iconic 90s rock band, No Doubt, may never have formed. It was at one of their locations that Eric Stefani and Greg Spence, employees of a DQ in Anaheim, California, met and decided that they would form a band together. All of this, if you can believe it, began back in 1938 with the partnership of a father and son in Green River, Illinois. SEE ALSO: Why is Snickers Called Snickers? Why is it Called Dairy Queen? Together, John Fremont McCullough, also known as “Grandpa,” and his son, Alex, designed what they believed to be a superior form of dessert: soft serve. There are, however, a couple of different stories about how they came to name the product Dairy Queen. One origin story gives the credit to the freezer the pair found that could dispense their blend at a suitable rate for business. The other story claims that the McCulloughs once said that soft serve was “a queen among dairy products” and so, the moniker was formed. The store was an instant success. So much so that the first time the treat was introduced to the public at Sherb Noble’s shop in Kankakee, Illinois, Noble was afraid the demanding crowd would bust out the windows of his store. While it’s perhaps not the most creative name (similar to the franchise’s Treatzza Pizza and GrillBurgers), the names of some of their other products have drawn a little more attention. In 2004, the DQ MooLatte appeared and soon brought on a lot of negative attention for its close approximation to the word mulatto, though it is still available for purchase at many DQ’s across the country. Also, you have probably noticed an expansion of “DQ Grill & Chill” locations which offer limited table service, a modern design, and an expanded menu that includes breakfast. And, for some of you out there you may even recall “Dairy Queen Brazier” locations, these have slowly been phased out over time. 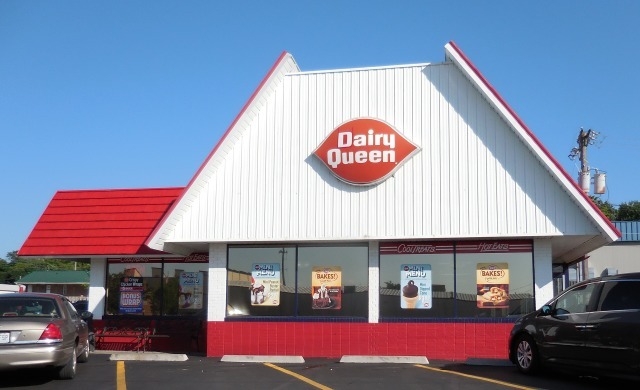 Starting from humble beginnings, Dairy Queen was able to capture the taste buds of the entire nation and become a part of ice cream, or rather, soft serve, history. Can you think of some other famous father-son restaurants? Comment below.